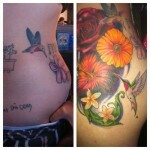 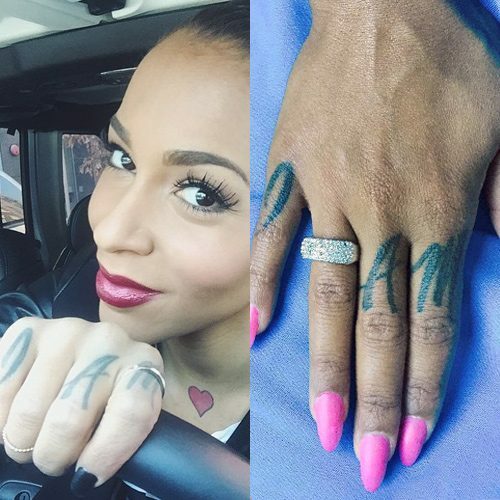 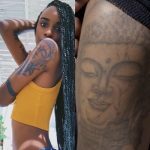 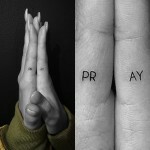 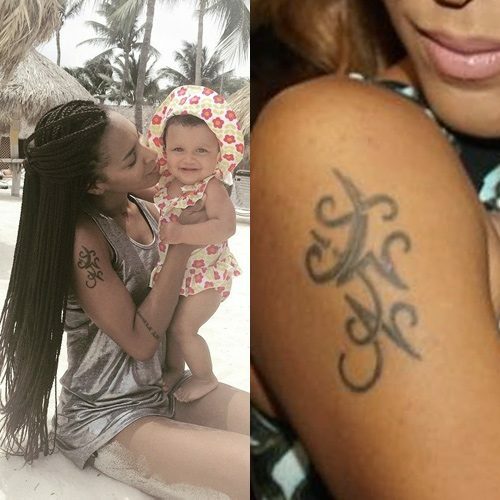 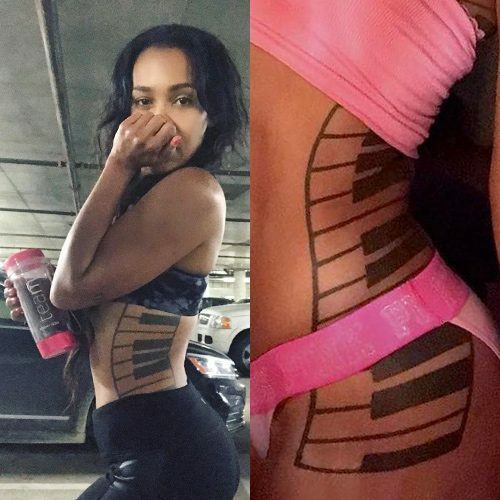 Amina Buddafly has a matching tattoo with her sister. 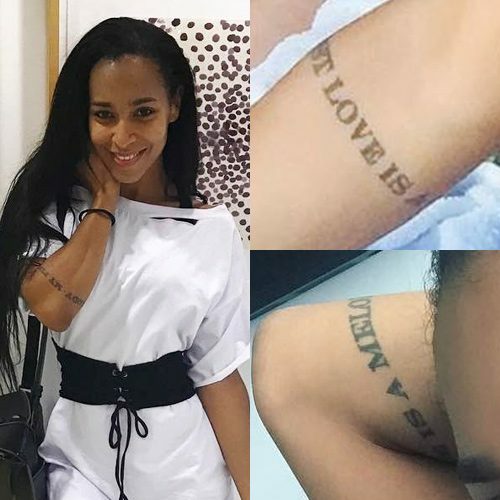 The ink which seems to be a bunch of letters symbol is on her right upper arm. 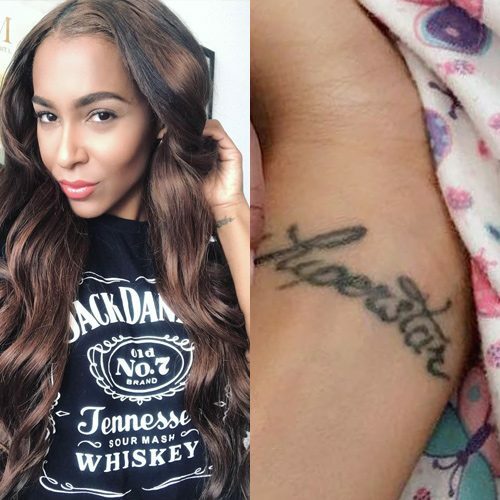 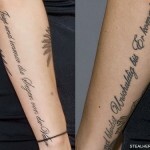 Amina Buddafly has a tattoo on her right arm which reads “My first love is a melody”. 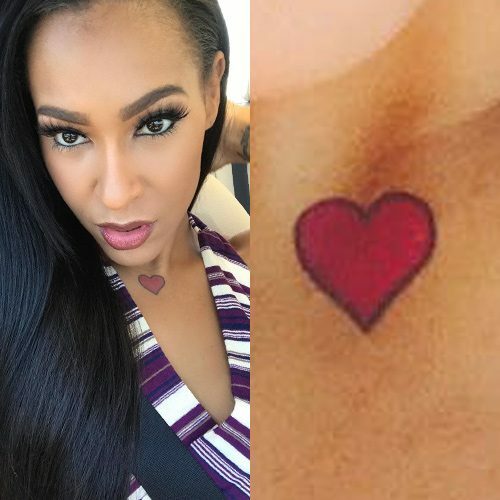 Amina Buddafly has a tiny tattoo on her bikini line area.